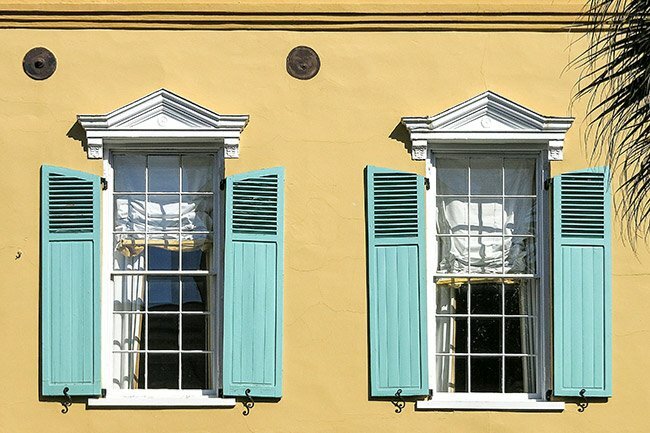 This lovely picture of the rooftops in historic Charleston holds a clue to past tragedy in the city. Can you pick it out? 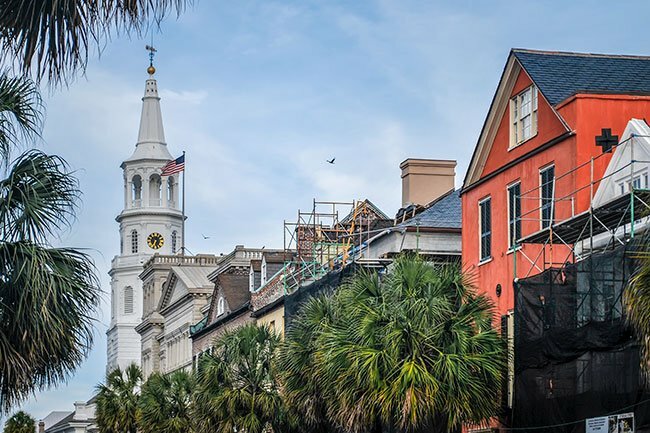 The black cross on the side of the orange building is an earthquake bolt – added to many buildings that survived or were built after the devastating quake that shook Charleston on August 31, 1886. It remains one of the largest earthquakes ever recorded on the Eastern Seaboard, with tremors felt over a span of 2.5 million square miles – from New York to Cuba, and from Bermuda to the Mississippi River. 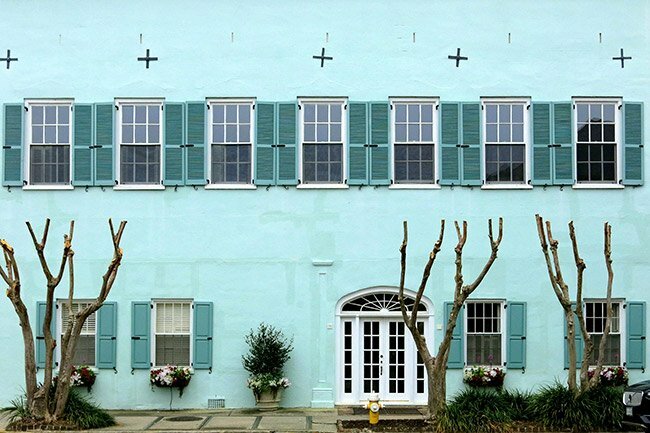 Many brick and masonry buildings in Charleston, including the city’s three hospitals, crumbled to the ground within minutes. Afterward, builders installed reinforcing bolts to strengthen their buildings. Earthquake bolts have two parts – a plate and an iron rod. 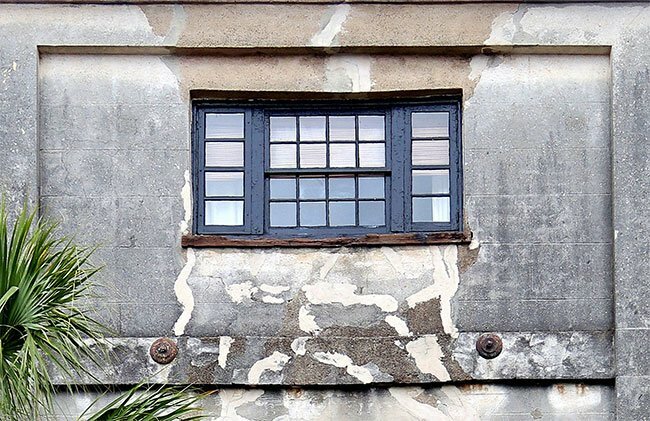 The plate on the outside of the building connects to a rod that passes through the building and then bolts to the timber frame on the interior. This, in effect, literally bolts the exterior masonry to the structural timber frame of the building. 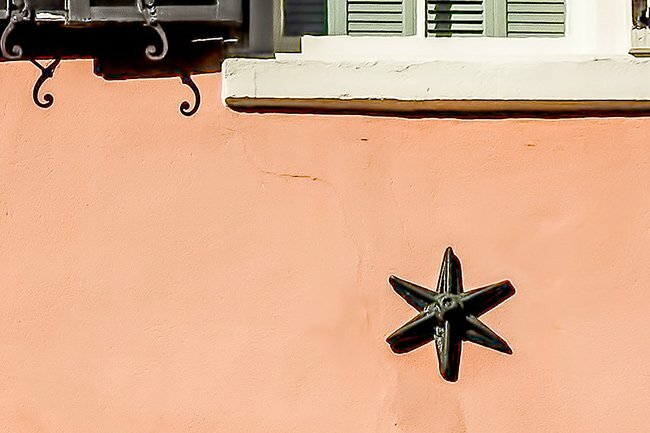 Since the plates are visible on the outside wall of a building, they are often crafted as decorative elements in the shape of crosses, circles, scrolls, or stars. Some suspect the bolts would not protect buildings in the event of another strong earthquake. Thankfully, though minor rumblings have been felt, South Carolina has so far been spared another serious seismic upheaval. I have recently come across two of these and thinking of selling them. For any info or if interested please contact. I have personally seen these…awesome.